Veneers are thin shells placed over the front of your natural teeth to alter their natural shape, size, alignment, and color. They are a cosmetic dentistry solution commonly made of porcelain that turns an aesthetically flawed smile into a perfect one. Some veneers are removable, however, most are a permanent solution and are bonded to the problem teeth. Veneers have many uses. They can be used to close gaps or correct small misalignments, or can be used as a cosmetic aesthetic solution to whiten or straighten a smile. Porcelain Veneers have many benefits, one of which are the aesthetics. Porcelain Veneers look exactly like the patients natural teeth. When it comes to restorative options, they are the best at replicating the healthy look of tooth enamel. They are also resistant to staining from coffee or tea, or smoking cigarettes. And, because veneers are so thin, light shines through them, helping them blend in naturally with the other teeth. It is imperative to have a comprehensive evaluation to ensure that veneers can provide a durable cosmetic solution for you. 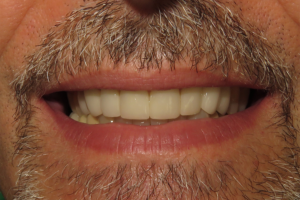 Veneers are a great way to have a beautiful smile and patients that are in good dental health with small cosmetic issues are ideal candidates for veneers. 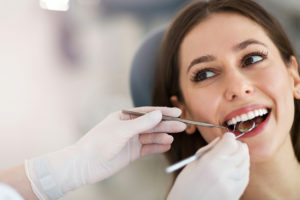 However, veneers do not correct more serious underlying issues such as decaying or weakened teeth, gum disease, lack of enamel, teeth grinding damage, and a misaligned bite. 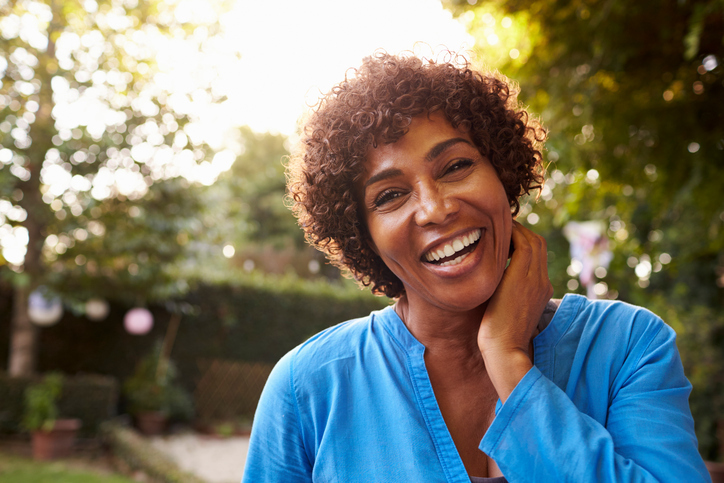 During your consultation, Dr. Young or Dr. Weststeyn will examine your teeth and determine if veneers are the right restorative option for you. 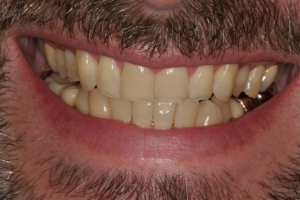 Additionally, he will be sure to answer any of your questions as well as discuss the veneer placement process. At the next visit, the dentists at Ridgeview Family Dental will prepare your teeth for veneers. This usually involves only the visible front teeth. After cleaning your teeth, Dr. Young or Dr. Weststeyn will then use a shade guide to select the porcelain color that matches your natural tooth color. If the teeth are badly stained we may recommend whitening first to get to your natural enamel color. Then, to make room for the veneer, about 0.3 to 0.5 mm of enamel is removed. Next, we take impressions of your teeth and send them off to the dental lab as blueprints for the creation of your veneers. Fabrication time is typically three weeks so temporary veneers are placed on your teeth while you wait. When you return for your final visit, Dr. Young or Dr. Weststeyn will check each veneer for fit and color. Once both you and our dentists are satisfied, the veneers are permanently placed onto your teeth using a special light that quickly hardens the dental cement. The most common side effect of veneer placement is tooth sensitivity. This is a temporary effect caused by removing enamel from the prepared tooth. Patients should be careful of extremely hot or cold beverages and food items for a short time after their procedure until the pain subsides. The difference between veneers and crowns is cosmetic appearance and function. Porcelain crowns improve the strength of the underlying tooth they are covering. This is because crowns cover the entire tooth all the way down to the gum line. Additionally, crowns are used in cases where a tooth is severely cracked, has extensive decay, or has had a root canal. Veneers are only cosmetic solutions placed on the front of the teeth which do not strengthen teeth. However, they cost less than crowns. The durability of a veneer is often related to the health of the teeth holding the veneer. Therefore, good home hygiene and keeping up with professional cleanings and exams will maximize their lifespan. Additionally, advances in technology and bonding agents have improved results. With proper care, porcelain veneers can last from 7 to 20 years. We would love to discuss your options! Please call 660-747-9117 to make an appointment for porcelain veneers. We serve Grain Valley, Odessa, Bates City and surrounding areas. Thanks to our convenient locations in Warrensburg, Oak Grove and Windsor. To learn more about Porcelain Veneers, please contact us at 660.747.9117 today to schedule an appointment.